New technological developments bring unmanned, robotic industrial trucks into focus as solutions for even more efficient in-house material flow. Sold under the umbrella of Linde Robotics and developed in cooperation with robotics specialist Balyo, the devices are easy to install and navigate relying on the warehouse structural elements. With the Linde L-MATIC L HP robotic stacker and the Linde P-MATIC robotic tractor, the first models have now been put on the market. Together with Balyo, an innovation leader in the area of automation, Linde Material Handling aims to become a full-range provider of robotic industrial trucks. The vehicles “driven by Balyo” are recommended for a variety of applications in the warehouse and the transport sector and can be connected to warehouse management and ERP systems. 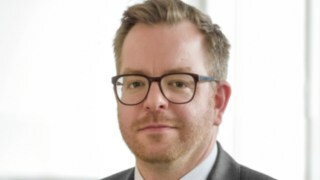 This means the trucks are already well on their way towards Industry 4.0, a concept envisaging that in the future machines should largely organise themselves and communicate with each other. Who can benefit from robotic trucks? The newly launched robotic stacker Linde L-MATIC L HP and the robotic tractor Linde P-MATIC are easy to install and navigate relying on the warehouse structural elements. The implementation of robotic warehouse solutions is worth considering especially for operators whose load handling processes provide only low added value, are repetitive and involve longer distances. 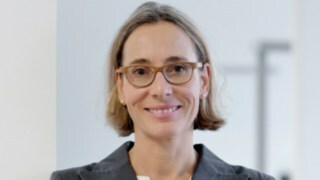 If, on top of that, the trucks will be used in two-shift operation or even more, then all essential conditions are met to benefit from the advantages of robotic logistics. These include, for example, a higher level of process transparency and the associated productivity gains. Another cost saving potential lies in optimization of operational resources. The Linde L-MATIC L HP robotic stacker has a load capacity of 1.2 tonnes and accelerates to 1.6 m/s maximum, both with and without load. The Linde P-MATIC robotic tractor has a towing capacity of 5 tonnes and reaches a maximum speed of 2 m/s. Both robotic models are based on the corresponding Linde standard device with powerful maintenance-free 3 kW AC drive motor, automatic brakes on slopes, lateral battery change and easy service access as well as numerous additional options such as the Linde Blue Spot. 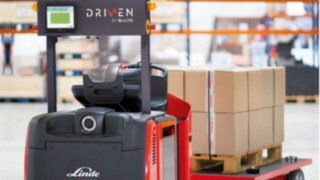 In addition, the Linde-MATIC versions feature a navigation laser, safety front and rear scanners, a 3D camera or a curtain laser, an embedded computer with seven-inch LCD screen, as well as visual and acoustic warning indicators, plus an emergency stop button at each side. These innovative features allow the robotic trucks to work in the same environment together with people and other vehicles. Obstacles are detected in real time and the robot behaviour is dynamically adjusted. The robot-controlled Linde L-MATIC L HP stacker and Linde P-MATIC tractor are recommended in particular for operators whose load handling processes provide only low added value, are repetitive, involve longer distances and run at least in two shifts. 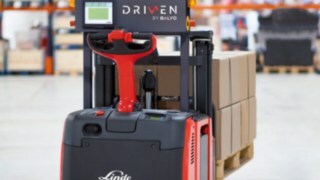 Compared to traditional automated guided vehicle systems (AGVs) or automated industrial trucks with laser reflectors, the robotic Linde trucks “driven by Balyo” travel without infrastructure. They rely on existing structural features such as walls, racks, or columns. This solution is more economical, easier to install, and can easily accommodate changes in the environment. Moreover, the vehicles can be easily integrated into existing fleets or warehouse layouts and allow for gradual expansion. More robotic “driven by Balyo” models will be launched under the umbrella of “Linde Robotics” this year and next. Before long, pallet trucks, heavy stackers, counterbalanced stackers, reach trucks and narrow aisle trucks (VNA) are to be added to the stacker Linde L-MATIC L HP and tractor Linde P-MATIC. Robotic devices of the Linde-MATIC series are already successfully proving their worth in initial customer applications in the chemical and automotive industries.